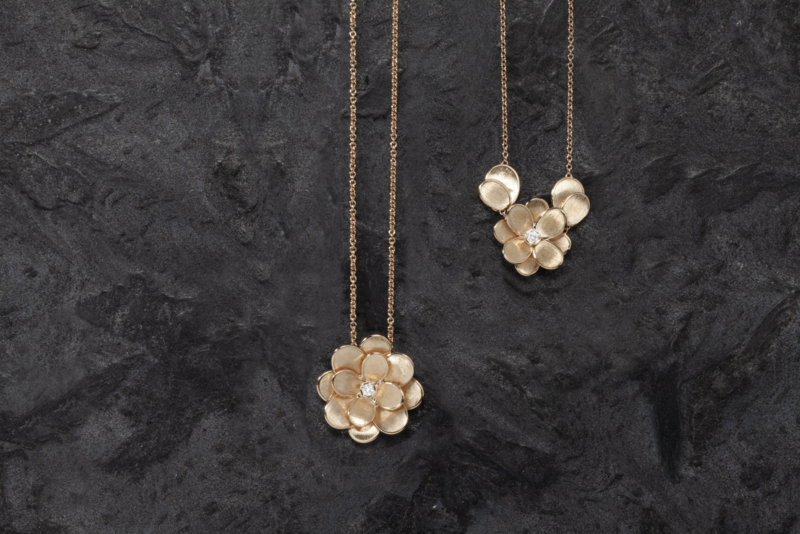 With delicate gold petals and twinkling diamond buds, Marco Bicego’s new Lunaria Petali jewellery designs embrace the beauty and femininity of flowers. Lunaria is one of Marco Bicego’s most popular collections, with its instantly recognisable undulating petals of gold forming the basis for many designs. 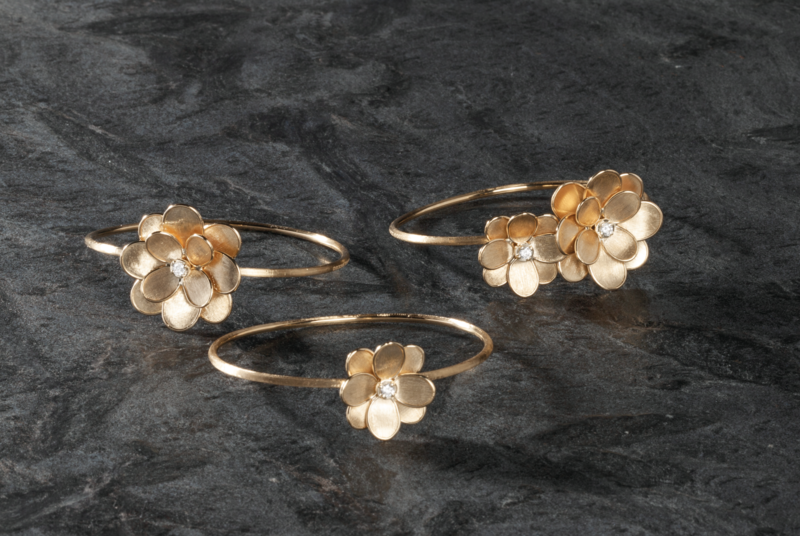 Now Marco Bicego has added a dash of whimsy to line by stacking up these solid gold petals to create floral arrangements for the Petali jewels. Each of the delicate petals have been crafted by hand, in Marco Bicego’s workshops in Italy, with the brand’s hallmark etching – a traditional goldsmithing technique known as bulino – giving each one depth and character. 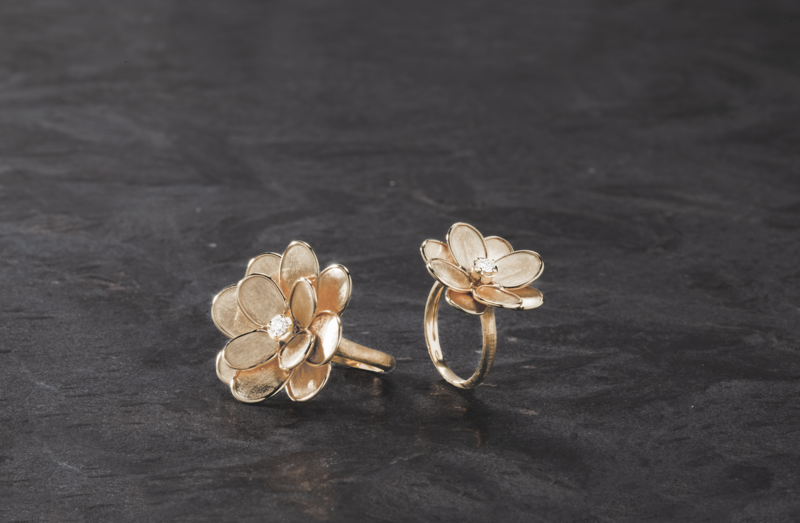 Along the edges of the textured floral petals are strips of highly polished gold, creating a satisfying contrast. The solid 18ct yellow gold flowers, some with small round brilliant diamonds set at the centre, have been laid on rings, pendants, earrings, rings and bracelets. Describing the new additions to Lunaria, the brand called the Petali floral jewels as “a hymn to femininity” that “evoke the quintessence of a flower in a gentle and original way, making it eternal”.